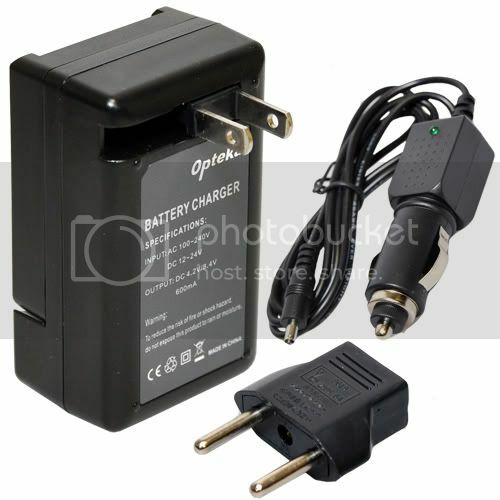 The Opteka MBC-series AC/DC Mono Rapid Battery Charger is designed for select camera and camcorder batteries. Features a LED charging indicator, "Smart Charging" for coded batteries, auto-shutoff feature, 9V DC car adapter and bonus Euro travel plug. The MBC-series charger is versatile and delivers high-performance charging without over-extending your budget.